How much can you save on a short sale in Immokalee, FL? The short sale process in Immokalee, FL, for a buyer can be very profitable if the situation includes a motivated seller and a cooperative lender. Find the best short sale homes and bank-approved listings available in Immokalee, FL, at Foreclosure.com today for as much as 75% off market value. 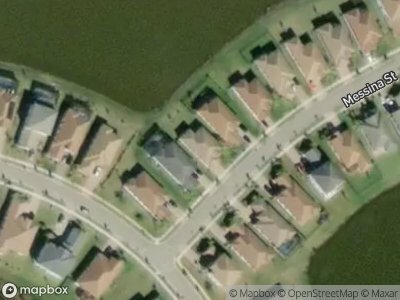 There are currently 1 short sale homes in Immokalee, FL, available for potential sale right now. Get the most current list of short sale listings in Immokalee, FL — and the information and tools to buy them fast — at Foreclosure.com. Originally the region was occupied by the Calusa Indians and centuries later occupied by the Seminole, after they moved down from the northern part of Florida. Initially the settlement was known as Gopher Ridge by the Seminole and Miccosukee Indians. Immokalee means "your home" in Mikasuki language. When the swamps were drained in the region, agriculture became the dominant industry. European-American hunters, trappers, Indian traders, cowmen, and missionaries moved in before the development of permanent villages. The first permanent settlement was founded in 1872. In 1921, the Atlantic Coast Line Railroad was extended south to Immokalee. The Immokalee area is heavily agricultural. It is one of the major centers of tomato growing in the United States. In 1960, CBS News anchor Edward R. Murrow reported on the working conditions in the surrounding farms for his Harvest of Shame report for CBS Reports, which described the harsh lives of migrant workers. Immokalee is located in northern Collier County along Florida State Road 29. LaBelle is 24 miles (39 km) to the north, and Interstate 75 (Alligator Alley) is 20 miles (32 km) to the south. There are currently 1 red-hot tax lien listings in Immokalee, FL.